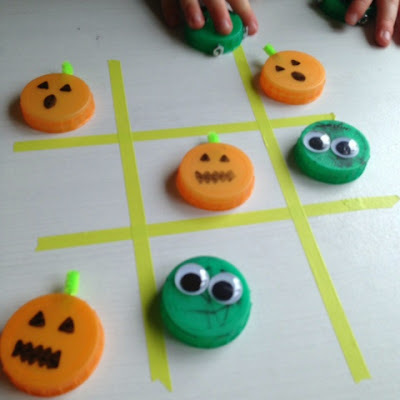 Tic-Tac-Toe is far more appropriate especially for this version which contains no naughts and no crosses! 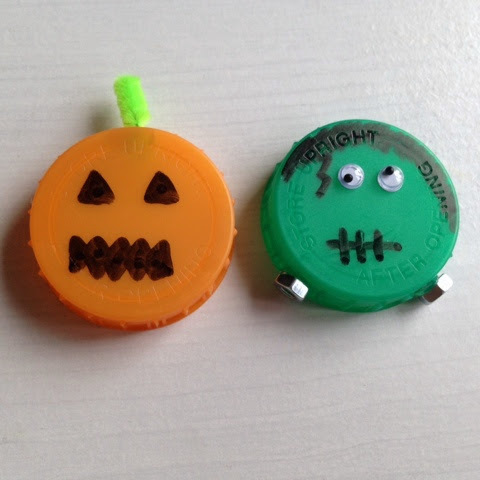 Draw faces on your bottle tops, don't draw eyes on the green ones. 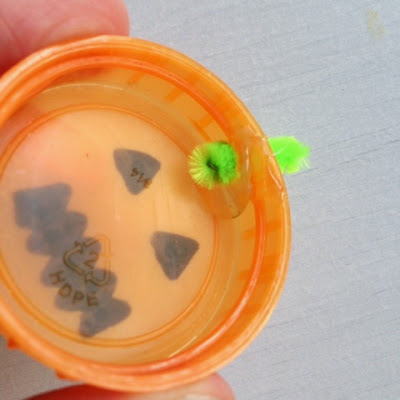 Using the bradawl and blue tack or another sharp object make a hole in the orange lids and feed through a little bit of pipe cleaner to make a stalk, I used a blob of hot glue to keep in place. 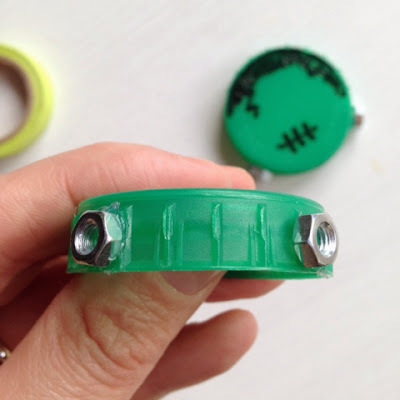 Glue 2 nuts onto the green bottletops to resemble the bolts in Frankenstein's neck and googly eyes. 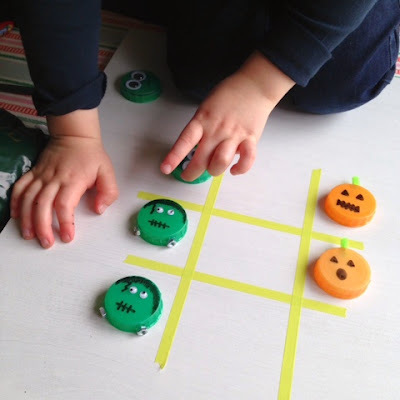 We had great fun playing this game, it's a completely new concept for T, he doesn't always get it right and he's struggling a bit with not winning every time, but I think we are making progress. We've put these in a sandwich bag with a roll of washi so we can play anywhere, any time. 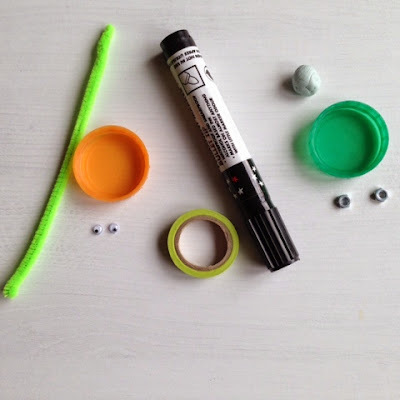 Those cute oscar the grouch ones are ones T made after seeing the ones I made for him, an older child would have no difficulty making this with a bit of help gluing from an adult. 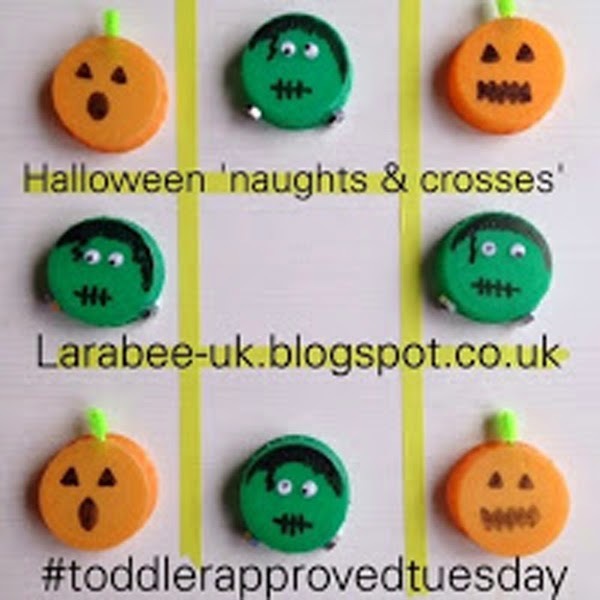 This is my entry for our #toddlerapprovedtuesday linky. Glad that we're out of that stage, it makes activities much easier!